KATHMANDU, Nepal – Bodies of Christian worshippers are still buried under the debris of their church buildings, which collapsed when a 7.8-magnitude earthquake shook Nepal last Saturday. Hundreds of Christians are among thousands who are dead. Nepal Army is helping clear debris from destroyed buildings, a task that is expected to take weeks, if not months, as hundreds of thousands of structures have collapsed across Nepal and more than 6,000 bodies have been recovered. Some of these bodies are of Christian worshippers who were attending services when the earthquake struck around noon on April 25. Among the worst-hit is Kathmandu Valley, where about 400 churches, including house churches, meet for worship. At least two churches in Kathmandu, the national capital, are known to have collapsed with believers and pastors in the buildings. Local Christian volunteers are surveying to find out the extent of damage to Christian buildings and lives. At least 26 Christians, incluidng Pastor Neema Sherpa and his wife, died when the seven-storey building they were holding a worship service in collapsed. The Kanan Church had rented this building in Sukedhara, Kathmandu. The Baton of Salvation Church in Buddha Park, Kathmandu, was also completely damaged. At least 15 bodies, including that of Pastor Elia Ghale and his son, had been pulled out, and armymen were trying to look for more. A church in Kapan village near Kathmandu also collapsed and killed 80 believers. Another church in Sitapaila village near Kathmandu was also destroyed, leaving 70 dead. A church in Lamosangu village in Sindhupalanchowk district collapsed with about 100 believers, and all are feared dead. Another church in Ree village in Dhading district was fully damaged while over 150 believers were worshipping. Saturday is a holiday in Nepal, and not Sunday, and therefore churches prefer to meet for worship on Saturdays. Some of the worst affected areas that remain cut off – Dhading, Rasuwa and Nuwakot districts – have many churches, too. About 2 percent of Nepal's 28 million people are Christian, according to the government census. A team, comprising about two-dozen workers from around the world, of international Christian relief organization Samaritan's Purse is on the ground in Kathmandu to help all earthquake victims. "The people of Nepal have experienced an incredible tragedy and are in desperate need of clean water, shelter and medical care," said Samaritan's Purse President Franklin Graham in a statement. "We intend to do everything we can to help and support them both physically and emotionally in the days and weeks ahead." An airlift of 60 tons of relief supplies, including plastic sheeting for emergency shelter, blankets, tents, clean water, hygiene items and cooking kits, is being coordinated by the relief team and is expected to arrive in the country on Saturday, the group said. Additional emergency materials have been procured and are being arranged for delivery in Kathmandu via ground transportation trucks, it said. "These materials will help 15,000 households in need. Food distributions of rice, lentils and salt are also being coordinated for Friday and Saturday in two hard-hit districts northeast of Kathmandu." 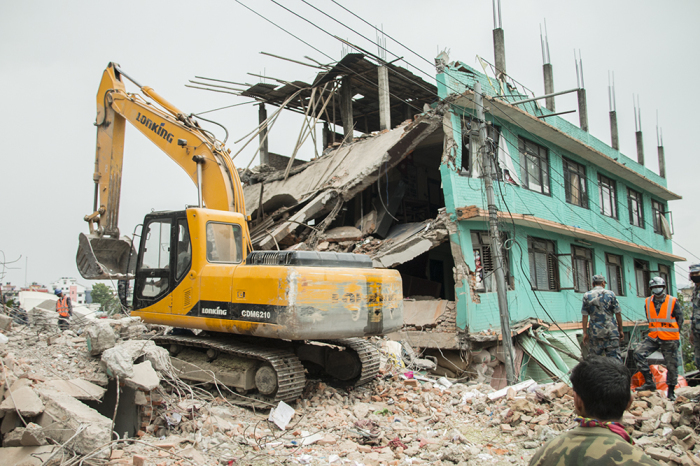 Many other international Christian organizations are working towards relief and rehabilitation in Nepal. Where Was God During the Nepal Earthquake?